Lea este artículo en Español, Aquí. Ted Oswald, World Relief Sacramento's Immigration Legal Services staff attorney, and Kevin Woehr, DOJ Accredited Representative with World Relief DuPage/Aurora, recently returned from Tijuana, Mexico as part of a team comprised of World Relief staff from across the U.S. advising asylum seekers at the border. The following offers a brief but powerful glimpse into their time on the border. A Venezuelan family of six huddled together as they told us their story. They were fleeing political persecution from their government for not supporting the ruling party. After their 18-year old pregnant daughter was arrested under false charges and brutally beaten, the family fled the country. At the border, they tried to plead for asylum, but were turned away. And so they tried again. This time they were heard — but told they could only take their two youngest children. Two must stay behind. Knowing they could not and would not be separated, they refused. Now they wait, together. They are number 601 in line. Each day, hundreds of people come to the Tijuana border crossing between the U.S. and Mexico, fleeing all manner of violence and poverty. These are the families hoping to apply for asylum in the U.S. Praying for a new beginning. And for safety. At the border, their names are added to a list. A record of all those applying for asylum — and one that can grow to over 1,000 entries long. Each day, a new batch of numbers are called and these asylum seekers are interviewed. There, the U.S. must assess whether asylum seekers have a credible fear of persecution on the basis of their race, religion, nationality, political opinion or membership in a particular social group. The validity of these fears are determined during this interview. Not many can meet the specific requirements, and asylum seekers often face prolonged detention while their full asylum claim is judged. If denied, they are deported back to their home country. If approved, however, they are granted new life in the U.S. This week, as we listened to the recounting of past trauma and held up these very human stories of loss, fear, pain and hope against the strict standards of asylum law, we prayed fervently for God’s justice and mercy for these suffering and vulnerable people. In the asylum line, children napped on the floor and parents sat by the fence waiting for the custodian of the list with the hope that maybe, just maybe, some of them would add their names. We estimated that over 1,000 people’s names were on the waitlist, and that it would take 4-7 weeks from when they signed up to the moment of their interview. A young woman from Mexico told us of the fateful night she was riding home from work in a local taxi. A gang pulled in front of the car, got out and killed the driver, then threatened her and her colleague. They promised that if she ever talked to the police she would be killed. In such a small town, the woman knew that though she did not know them – they knew her, and likely her family too. A few months later, her brother and uncle were killed. And so she fled. An 18-year old Honduran boy told us of his escape from the Mara 18, an infamous and violent gang who had tried to recruit him. They threatened him frequently, trying to force him to work for them by extorting local families. When he refused, he was kidnapped and locked in a house, where one evening he was able to escape. He cried as he told us he was never able to say goodbye to his family. A young couple from Honduras told us of their escape from gang violence and harassment. The wife has been raped, and though she contacted the police, nothing was done. Now, several months pregnant, she and her husband are seeking asylum in the hopes of beginning a new life. At the end of the days we began to process the stories we had heard. Stories of lives already ravaged by persecution on so many different levels (physical, emotional, sexual and mental), lives disrupted and broken, yet still somehow still intact, now standing at the border. Here these lives waited, preparing to plead their case for asylum. As we advised individuals and families on the likely realities of applying for asylum in the U.S, we simply wished we could give them good news; news that the pain and fear was over and that they could begin to heal and restore. And yet our words were simply more words of preparation for the hardships that were still to come: detention, interviews, family separation, possible deportation, attorney fees and more. The storm was not over. It would continue on. There were days when this knowledge was crippling. When hope evaded us. And yet, we held on to the hope that our counsel and encouragement would provide these vulnerable individuals and families with the support they needed to journey through the next phase of the storm. Our time on the border was a clear reminder that this work is powerful, humbling and, sometimes, even holy. As our team returns to the U.S., we will continue to bear witness to what we’ve encountered at the border. We ask that you would join us in continued prayer for this important work and for peace for the hundreds of families seeking refuge at our border. Ted Oswald has served with World Relief since 2017 as the Immigrant Legal Services (ILS) program director and attorney where he provides immigration legal services, mobilizes volunteers, and offers community legal education seminars. A licensed attorney, Ted has a Juris Doctor from the Thomas R. Kline School of Law at Drexel University, a Graduate Diploma in Forced Migration and Refugee Studies from the American University in Cairo, and a Bachelor of Arts in International Relations from UC Davis. He is the author of three novels, Because We Are: A Novel of Haiti, There is a Land, and Little Flower. Kevin Woehr Kevin Woehr is a partially DOJ Accredited Representative with World Relief DuPage/Aurora and has been a member of the legal team since August of 2012. As a Senior Immigration Specialist, Kevin represents clients before the Department of Homeland Security, providing legal counsel on a wide range of administrative processes. 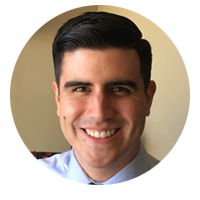 Additionally, Kevin oversees the application process of hundreds of eligible young adults each year in the capacity of DACA program coordinator. He is trilingual in English, French, and Spanish and was born and raised in Chile.